Jamal Khashoggi’s fiancée implored President Donald Trump and first lady Melania Trump “to help shed light on” his disappearance in an op-ed published by The Washington Post on Tuesday evening. Khashoggi, a prominent Saudi journalist, vanished October 2 after entering the Saudi consulate in Istanbul. As a columnist for the Post, Khashoggi was a frequent critic of the Saudi regime. On Saturday, Turkish officials told the Post that Khashoggi had been killed at the Saudi consulate. CNN has not been able to independently confirm these reports, and the Saudi government has denied them. Khashoggi was at the consulate to obtain paperwork so he could marry his Turkish fiancée, Hatice Cengiz. Trump said Monday that he was “concerned” about reports of Khashoggi’s disappearance. 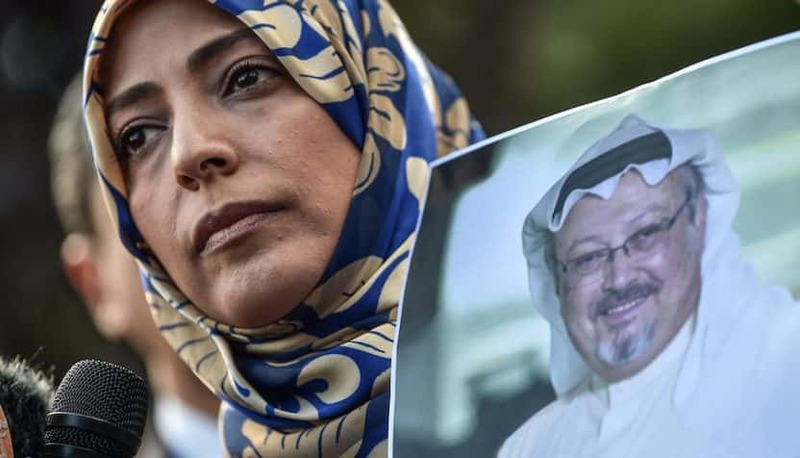 Cengiz wrote in the op-ed that Khashoggi had gone to the Saudi consulate in Istanbul “despite being somewhat concerned that he could be in danger.” He had no warrant for his arrest in Saudi Arabia and didn’t think that the tensions between himself and the Saudi royal family were at a dangerous level. Trump had spoken about Khashoggi’s disappearance briefly with reporters on Monday. “I don’t like hearing about it, and hopefully that will sort itself out. Right now, nobody knows anything about it,” he said. Turkish President Recep Tayyip Erdogan has called on Saudi Arabia to release surveillance footage to prove that Khashoggi left the consulate. “Although this incident could potentially fuel a political crisis between the two nations, let us not lose sight of the human aspect of what happened,” Cengiz writes.